The Dish With DDR: Packing for Resort Season with PurseN! Resort season is in full effect and I am ready to go! I’m jetting off to Antigua in a few days and can not wait for some R & R! But first, I gotta pack. The thought, and the process of packing can be tedious, especially if you don’t have great organizational skills — your luggage could end up looking like a war zone. But it doesn’t have to be that way. It could actually be enjoyable, organized and gorgeous! I mean, do you not love this tropical print?! I recently discovered the brand PurseN, whose mission is to make packing a breeze for women. PurseN’s gorgeous cases and luxurious jet-setting accessories offer a wide array of options to suit any personal carrying need. 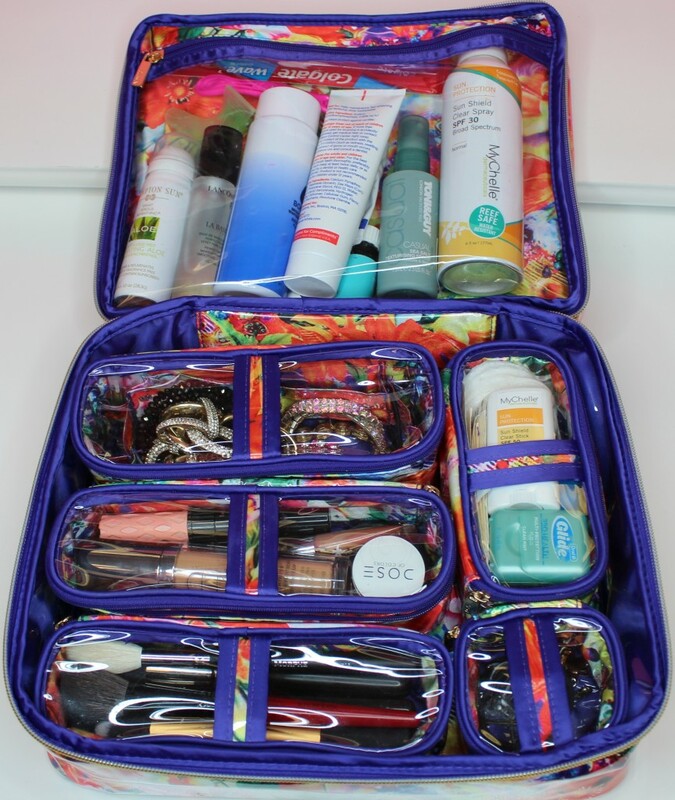 Below you can see my own Diva Makeup Case that I use to organize all of my cosmetics, toiletries and beauty essentials. 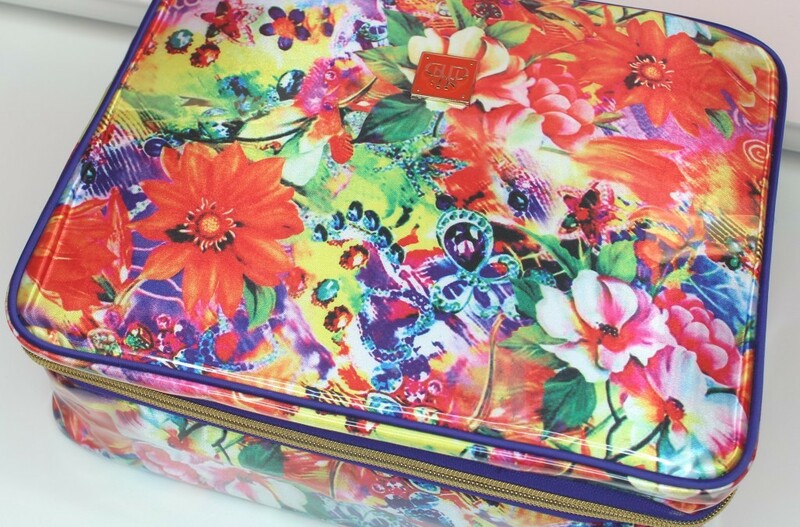 I love the Diva Makeup Case because it’s sleek, has five individual removable cases, and one large zippered area ideal for organizing makeup, hair accessories, jewelry, toiletries and sunbathing necessities. Here you can see in the large zippered pouch I keep items like MyChelle SPF (which is quite a large bottle), razor, toothbrush, skincare, haircare, etc. It holds quite a lot as you can see. In the five smaller cases I carry jewelry, hair accessories, band aids, safety pins, makeup brushes, and makeup. 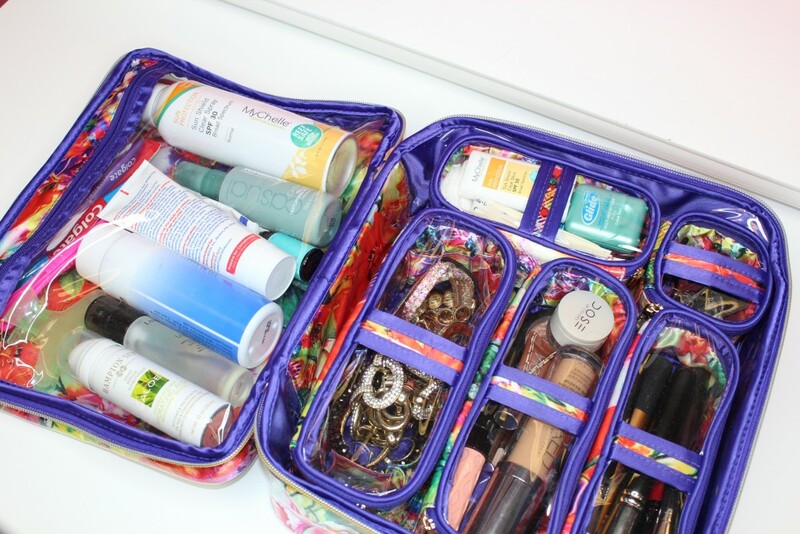 Then, I usually lay a pack of cleansing facial towelettes on top of the individual cases…there’s always enough room for some flat items to go on top! This bag speaks for itself. And I hope I’ve made the packing process a little less stressful and a little more luxurious for you! NOTE: This post is not sponsored. All thoughts are unbiased and my own. Item is my own and for my personal use as a professional makeup artist and traveler :). All photos are property of DIVAlicious.